Samsung elected to skirt Qualcomm’s Snapdragon 810 SoC in favor of its in-house Exynos solution to power the Galaxy S6 and S6 Edge. The rumor mill claimed the chip ran too hot for Samsung’s liking, an accusation that has since been independently corroborated by Ars Technica. 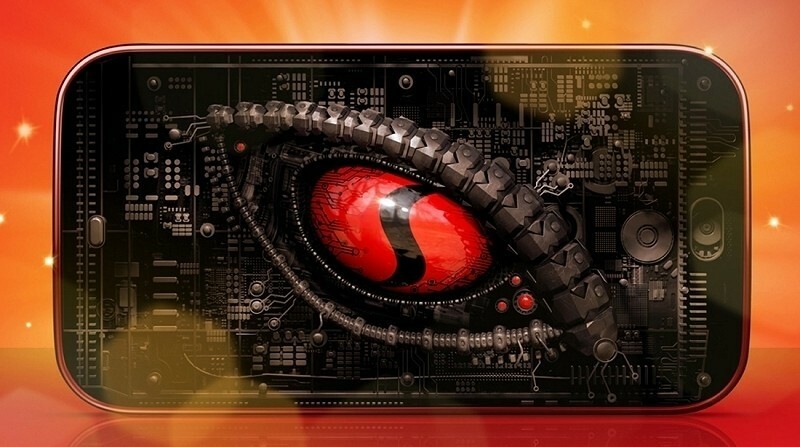 With help from the team at Primate Labs, the publication found that when running at its full potential in both the HTC One M9 and LG’s G Flex 2, the Snapdragon 810 is indeed faster than its predecessors, the Snapdragon 800, 801 and 805. That performance is short-lived, however, as throttling – a technique used by many smartphones and tablets to avoid overheating – occurs early and often due to the fact that the 810 does indeed run warm. But just how bad is it? This chart really drives home the point. In comparing the “.big” ARM Cortex A57 cores from the Exynos 7420 inside the Galaxy S6 to the Snapdragon 810’s “big” in the LG G Flex 2, the difference becomes painfully obvious (the gaps represent when the SoC switched to its “.LITTLE” ARM Cortex A53 cores). While both exhibited throttling, the 810 dropped down below 900MHz after just a few minutes of sustained workload and switched to the .LITTLE cores on a somewhat consistent basis. The Exynos, meanwhile, only touched the .LITTLE cores a few times and maintained much faster clock speeds throughout the 15-minute test period. All things considered, the data – which mirrors our own testing of the HTC One M9 and the LG G Flex 2 – proves that phones using the Snapdragon 810 are ultimately slower and have worse battery life. The heating issues are likely a result of using TSMC’s 20-nanometer manufacturing process (Samsung’s Exynos is built on the 14-nanometer process). It’s also possible that Samsung simply has more experience implementing Cortex CPU cores into its designs. Fortunately, Qualcomm’s next in line – the Snapdragon 820 – is expected to be built on the smaller and more efficient 14-nanometer process. Along with its custom-designed 64-bit “Kryo” architecture, it should alleviate the issues found in 810.